Published November 19, 2013 at 650 × 591 in What’s New? ADJ Holiday Show at Youth in Arts! 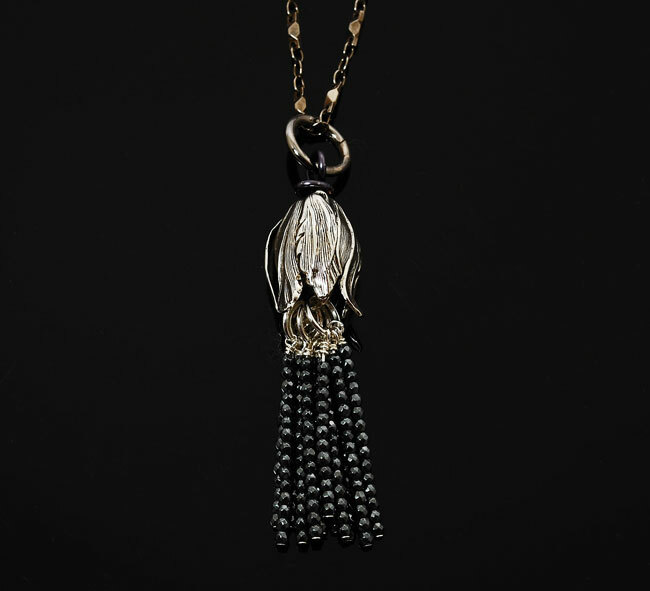 Dramatic shades of silver and grey define this sparkling tassel made of hematite. 30″ long, gunmetal chain, silver plated tassel flower.